How to Download Search Results to Excel Spreadsheet or Google Docs? Blog » SEO » How to Download Search Results to Excel Spreadsheet or Google Sheets? How to Download Search Results to Excel Spreadsheet or Google Sheets? Wondering how to download search results to an excel spreadsheet or save them on the cloud such as Google docs? 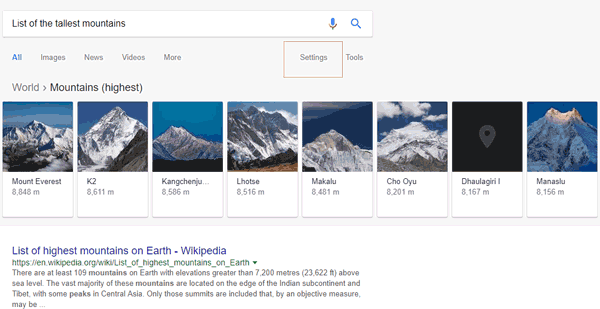 Here is a simple step by step tutorial to download search results quickly on your computer. Whether you need to download search results for link building or any other purpose. You can use this method to download any results from Bing, Yahoo, Google, Yandex and more. It is the easiest way to track your website’s search rankings. There are 2 different ways to download search results. You can copy each result manually from the search results to a spreadsheet. This process could take ages especially if you just want to quickly download the results and get done with it. Step 1: Download SEOQuake extension in your Chrome browser. After successful installation, you will see SEOquake extension at the top right corner of your browser. Right click on SEOQuake extension button and select options from the drop down menu. Step 2: If you only want to download URLs of the search results, then uncheck all the boxes in active parameters. You can customize any option that you want to include in your downloaded CSV file from active parameters. Step 1: Search anything on Google. Find settings option, which is located at the top middle bar, right below the search box. Step 2: Click on settings. Now select the option search settings. It will load a Google search settings page. Step 3: Find results per page option. Scroll this icon to as many search results that you want to be displayed and download. Step 4: Now go back to your search result page. Search anything that you want to download from search results. Wait for at least 5 seconds to completely load the search results page. Now click on this option from left hand corner Export CSV. That’s it! Your file will be downloaded on your computer. Step 1: You need to first install SEOquake firefox extension in your Firefox browser. After the successful extension install, follow these steps: Look for SQ icon at top right corner of your browser. Step 2: Click on the SQ extension shortcut. It will open a new window in your browser. On that window look closely at the top right corner, you will find a settings gear icon. Step 3: Click on the settings icon and select the preferences. It will open a new tab in your browser. Now select SERP Overlay. If you only want to download URLs of the search results, then uncheck all the boxes. Step 4: Please see this part above how to configure search results per page. 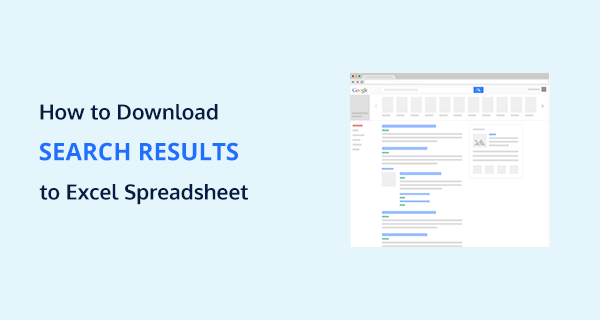 After configuring search results per page, you can download your results now. Search anything that you want to download from search results. Find this option in the left corner of your search results page “Export CSV”. Now click on the export CSV button. After doing that, your list of 100 search results will be downloaded in excel spreadsheet on your computer. You can upload this CSV file to Google Drive, Google Sheets or any other cloud storage which is capable of processing CSV files. How to Download Search Results to Google Sheets or Google Drive? First of all, you would need an account on Google. By creating an account on Google, you can access lots of useful tools such as Google Search Console, Google Drive, Google Sheets, Google Docs, and many more. 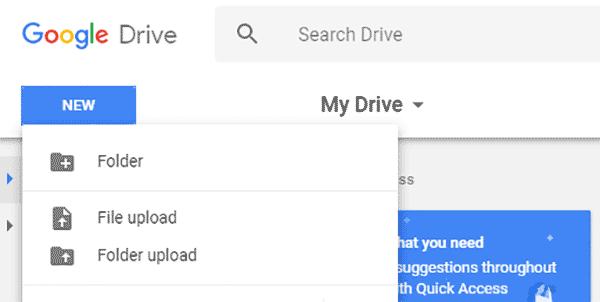 When you created an account you can upload your downloaded CSV to Google Drive. Go to your Google Drive account and look for ‘New’ Button at the top left corner. By clicking on this button you will find an option ‘File Upload’. I hope you find this article useful. If you have any questions or stuck anywhere in following these instructions, then please feel free to leave me a comment down below. Also, I would really appreciate if you share this article. Awesome!! thanks for sharing these instructions!! Thanks, I just Google’d “export Google results to excel” and this post came up first. I already had SEOquake installed and this made my SEO day easier!